The Club wish to announce to the general public that we have reached an agreement with the Club Licensing Board to play our Ghana Premier League home fixtures for the 2016/17 season at the El-Wak Sports Stadium. The El Wak Sports Stadium is a Ghana Armed Forces-owned sports facility which is located at Cantonments, a suburb of the country’s capital (Accra) with a seating capacity of 7,000. 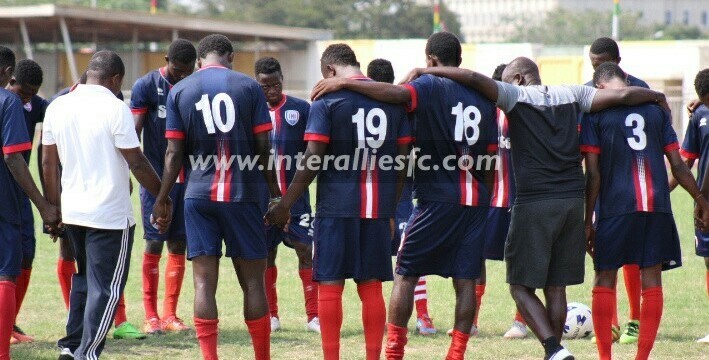 Inter Allies FC gained promotion from the second-tier to the elite division for the 2013/14 season and have used the Tema Sports Stadium as the Club’s home venue for the last three seasons. Vice President of the Club and Ghana Football Association Executive Committee member Delali Eric Senaye cited the cost and risk of traveling to Tema all the time as the main reason for the decision to change venue. The Club then want to assure the fans and sympathizers that this decision to change the Club’s home venue is in the best interest of the team hence the need for everyone to embrace it and keep supporting our great Club.